You get better insights using several neuromarketing tools at once. 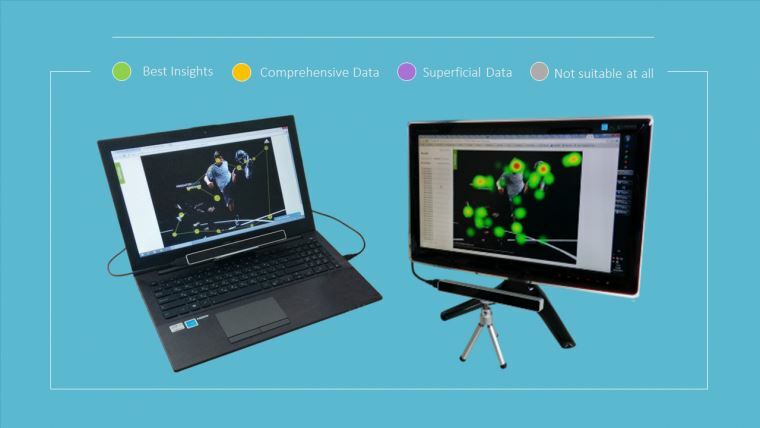 Due to the opportunity to cross-analyze collected data, you get comprehensive results. 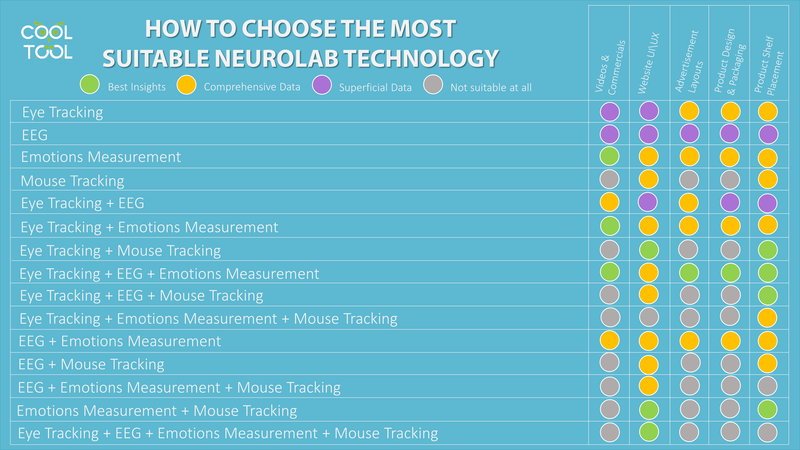 NeuroLab by CoolTool allows you to use several neuromarketing tools separately and/or all together. Use this infographic to identify, which combination of neuromarketing technologies can get your the most comprehensive data. Do you have an interesting idea you want to test with neuromarketing tools? Create your free account here.